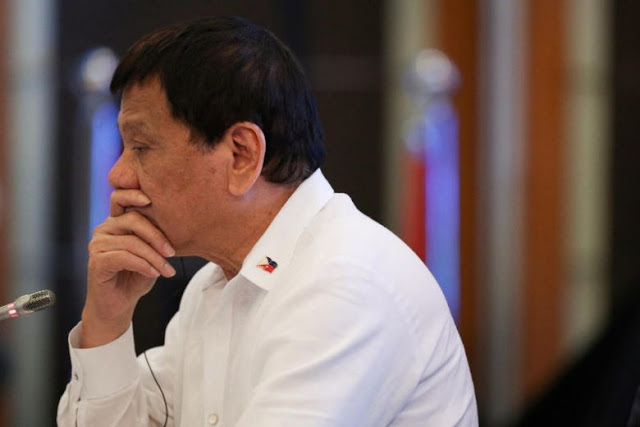 President Duterte said on Saturday that he plans to suspend the implementation of the Motorcycle Crime Prevention Act due to disadvantageous provisions of the law for riders. During the National Federation of the Motorcycle Clubs of the Philippines (NFMCP) Annual Convention in Iloilo City Saturday evening, the President said he would talk to Senator Richard Gordon and the Land Transportation Office (LTO) to hold on to the law for a while and to make a compromise. Gordon is the author of the law. “I will talk to just one–Senator Gordon. Sabihin ko sa kanya na, ‘Alam mo ibang countries, as a matter of fact all countries, walang plate number–all motor vehicles, walang plate number sa harap. Diyan lang ‘yan sa likod (I will tell him that in all other countries, no motorcycle vehicle has a plate number in front. All plates are at the back),'” he said. Gordon, in a statement, said he would explain to the President the salient points of the law and why it should be implemented right away. “(It) will give justice to the victims of riding-in-tandem shooters who could no longer seek justice themselves because dead men tell no tales,” Gordon said. According to Duterte, the law will not be effective because Filipinos are known to be resourceful people, including the criminals. “Palagay ko (I think) it would really not make a difference. The criminals of the Philippines have perfected the art of falsifying, fabrication,” he said. Duterte, a motorcycle enthusiast himself, explained why he signed the law which riders like him hate. “Alam mo kasi kung bakit ko pinirmahan ko? Ang pulis tao ko, ang military tao ko. Ano ang i-rekomenda nila I will adopt it basta maglagay lang ng rationale (You want to know why I signed it? The police and the military are my people. Whatever they recommend, I will adopt it as long as they put the rationale there),” he said. Duterte said that he will try to make a compromise with Gordon and the LTO so the law would be accepted by motorcycle riders. The President said he will try to explain to them that the law can cause harm to the riders. The President also said he would ask Gordon to lower the hefty fine for violators. “Mahal masyado, Sir, yung fine. P50,000. Masyadong mataas. P50,000 is mas mahal pa sa motor ang yawa (The fine of P50,000 is too high, Sir. It is more expensive than a new motorcycle),” Duterte said. “I’m willing P10- to P15,000. Pero kung maaari (But if possible), I go to the barest minimum, it should not go lower than–eh kasi sa enforcement siyempre may bayad–mga P10,000. Kung ayaw nila then P15 [thousand]. Mag-haggle na lang ako (It should not go lower than P10,000 because it is for law enforcement, of course someone has to pay. If they don’t agree with it, maybe P15,000. I will haggle for it),” he added. Reelectionist Senator Joseph Victor “JV” Ejercito on Sunday thanked President Duterte for listening to the concerns of the motorcycling-riding community on the Motorcycle Crime Prevention Act of 2019 or Republic Act No. 11235. Ejercito said the Chief Executive’s plan to suspend the law which mandates double motorcycle plates, is a welcome intervention and provided a sigh of relief to motorcycle riders. “For me, it’s more like an imprimatur for the conduct of a thorough study and discussion among stakeholders to fully understand the law, especially the source of complaint and confusion, with the end view of coming up with a common formula to assure the safety of riders while the law’s anti-criminality objective is being achieved,” Ejercito said in a statement. “The motorcycle community, like the rest of the Filipino people, wants the campaign against criminality of the President to succeed.